Nigel Dodds said any kind of backstop which created regulatory differences between Northern Ireland and the rest of the UK "would constitutionally break up the UK"
THE issue of the Irish border and "more despicably" the Irish peace process is being used by some to "either thwart Brexit or to mould it in their own way", the DUP's Westminster leader has warned. 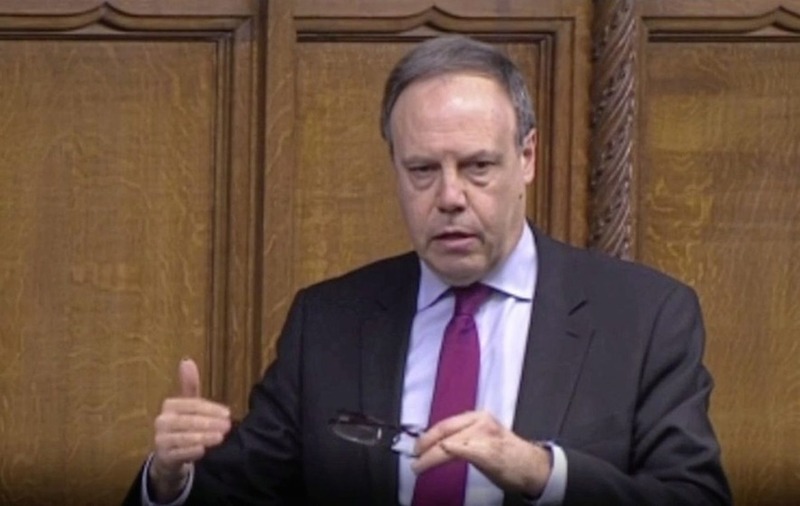 Nigel Dodds said any kind of backstop which created regulatory differences between Northern Ireland and the rest of the UK "would constitutionally break up the UK". Brexit Secretary Dominic Raab responded that "it's certainly true that some are trying to use this as a leverage and that won't work". 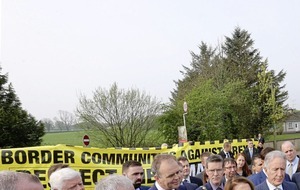 Speaking after Mr Raab's ministerial statement in the Commons on the Brexit negotiations and no deal contingency planning, Mr Dodds said: "I wish sometimes people would actually travel the road from Belfast to Dublin and Dublin to Belfast because they actually pass on the border camera infrastructure already. 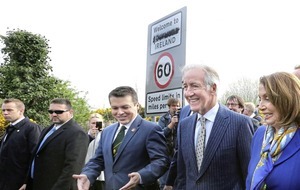 "And as the former secretary of state for Northern Ireland (Owen Paterson) said there already is a currency, excise and other border between Northern Ireland and the Irish Republic. "The fact is that there are people in this House and in the European Union and in the Irish Republic using the issue of the Irish border and more despicably the Irish peace process and the political process to either thwart Brexit or to mould it in their own way. "The reality is that this House would never accept any kind of backstop which creates regulatory or other differences between Northern Ireland and the rest of the UK because that would be something that would constitutionally break up the UK. "Can the secretary of state reassure the House that he will stick to that going forward." 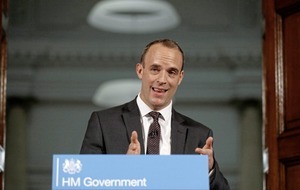 Mr Raab replied: "Of course he's absolutely right both on the technical remarks he made but also I fear on the fact that some, not all, but some are trying to politicise the issue. "I do think there are legitimate issues, we've committed to give effect to the joint report that we agreed with the EU, but it's certainly true that some are trying to use this as a leverage and that won't work." Labour's Kate Hoey argued that "with genuine cooperation and goodwill on all sides" the issue of the border could be sorted, adding "we can then think of the Canada plus, plus, plus option". Mr Raab said the British government would "not give into" any EU proposal which drew a customs border down the Irish Sea. 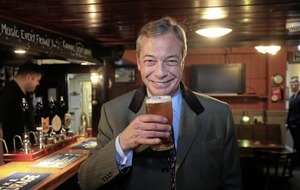 "What we're not going to do is accept the EU's proposal through the protocol because it will effectively draw a customs border down the Irish sea, that would threaten the constitutional and I think economic integrity of the UK and we will not give in to that," he said.